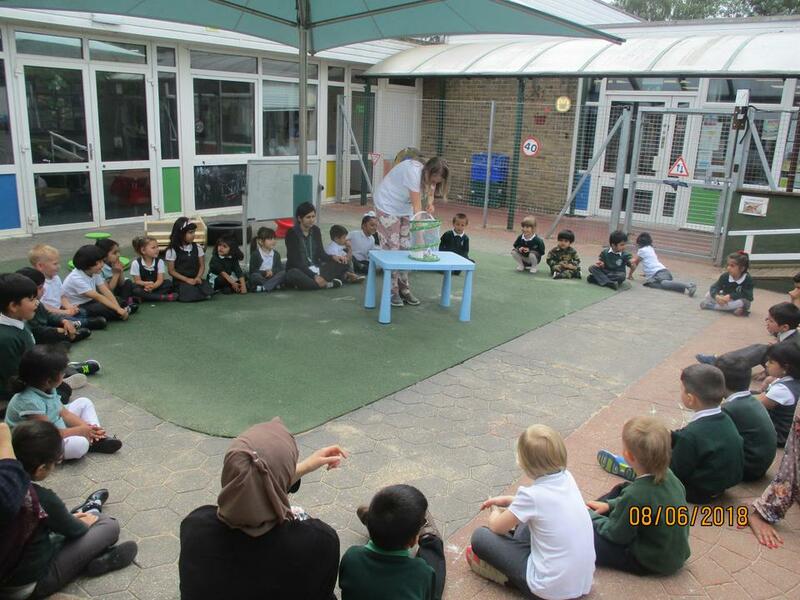 The children continue to enjoy our welcome tasks. 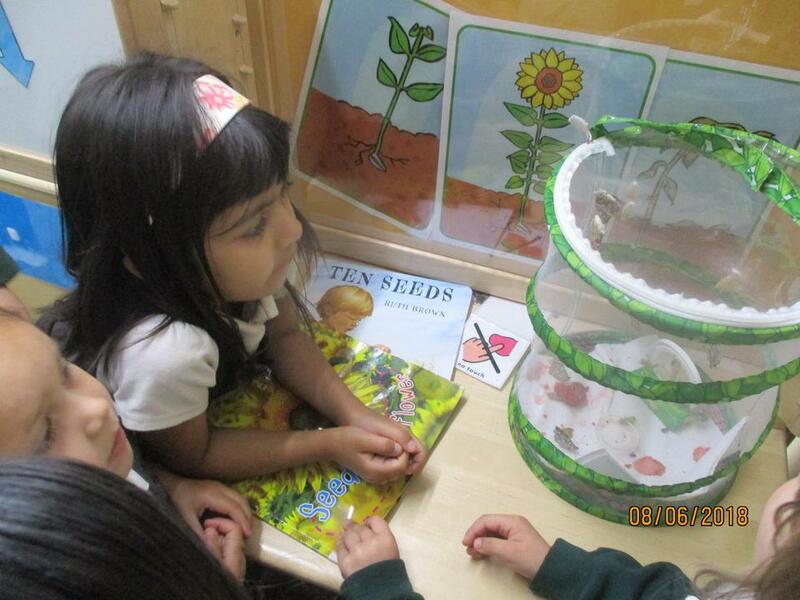 Thank you for your help in getting the children to Nursery on time so we are ready to start learning straight away. Our aim is to build firm foundations for the future and prepare children for a fulfilling and rewarding school life. This supports our ethos of ‘Caring, Sharing, Aiming High’. We have learnt about different types of bread from around the world, Bangra dancing, African Drumming and made Rangoli patterns. Many thanks to the parents who came and read to the children in their home language it made the day even more enjoyable. The children learnt what it means to be an artist and did their own still life paintings of flowers. 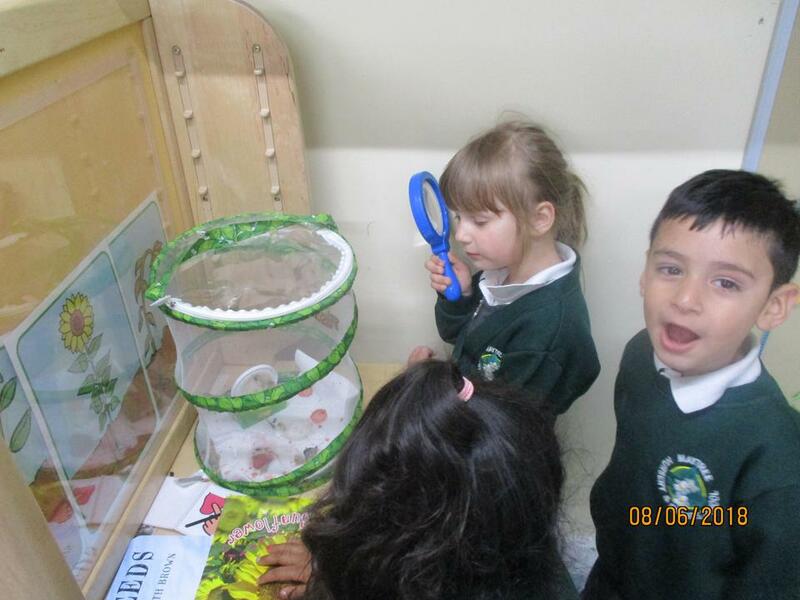 The children really enjoyed their trip to the farm and learnt about the different animals. 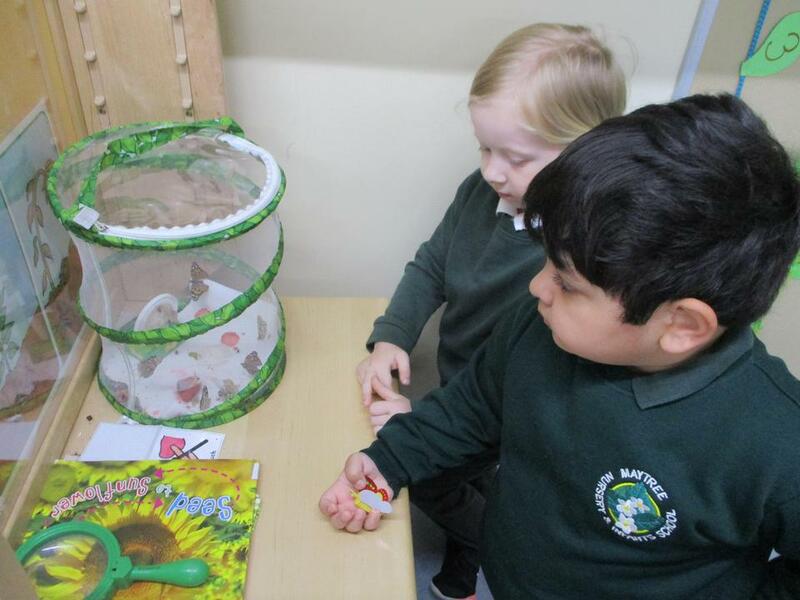 The children have been fascinated watching the caterpillars make their cocoons and then watching them come out as beautiful butterflies. 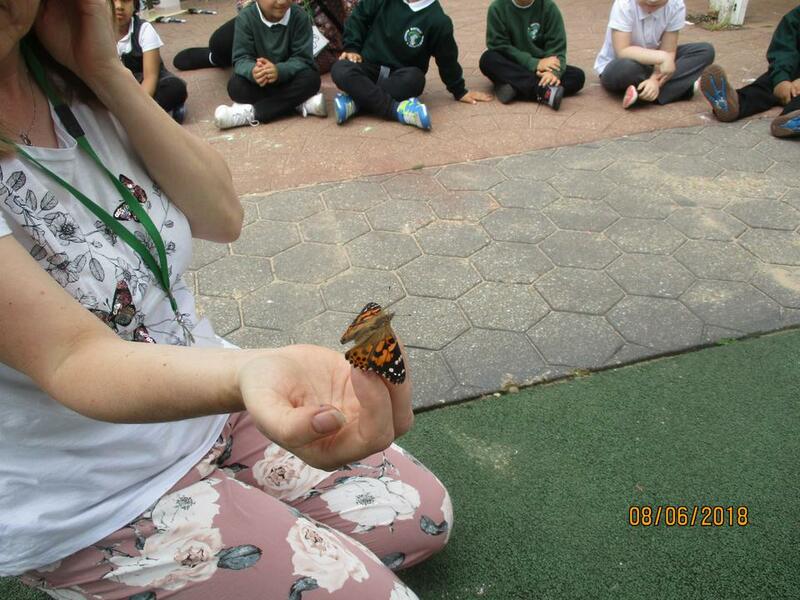 We all watched them go in the garden even though some were a little sad to see them go.